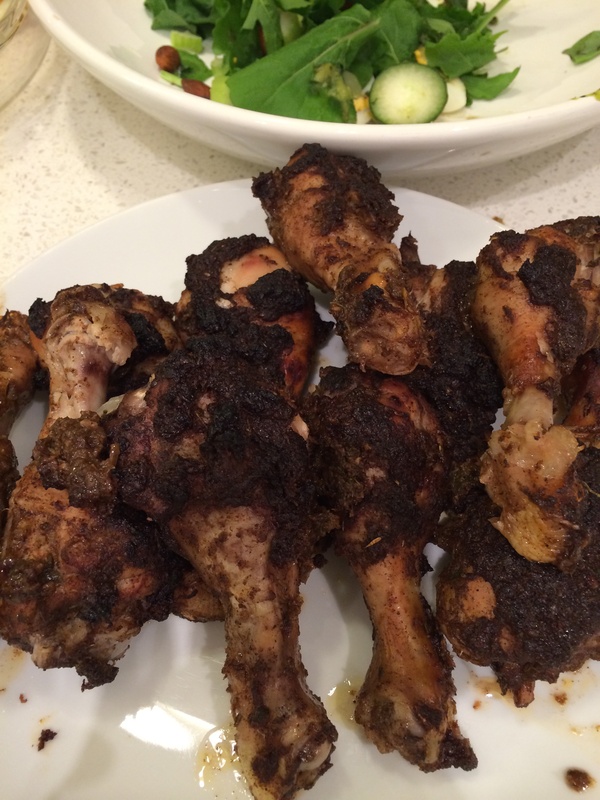 Used Pete Evans Family Food recipe for this Jamaican Jerk Chicken. The spices used are thyme, paprika, allspice, cinnamon and nutmeg on a base of red onion, garlic, lime and tamari. All combined in Thermomix to make a paste for marinating the chicken. Left out chillies served with salad and his green goddess dressing. Notes for next time: process spices first before adding other ingredients. Good flavour, recommend fry to seal and brown chicken first before roasting.